Getting the right start makes all the difference in life: eating the right food, going to the right school, learning the right lessons, establishing the right values. It’s no different when it comes to motorcycling. 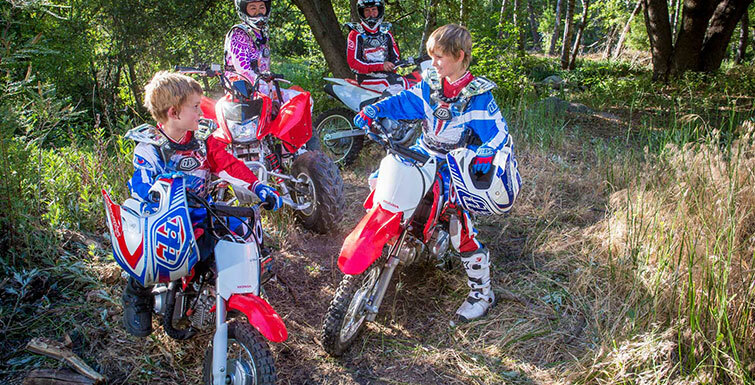 Starting a rider off early introduces them to something they can enjoy forever. And starting them off right pays dividends for decades to come. 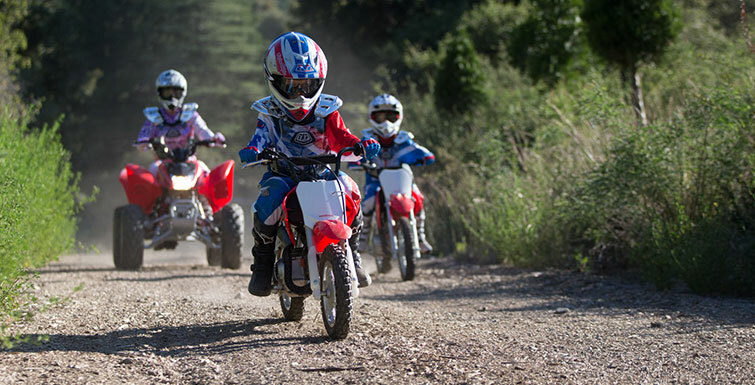 So when it’s time to get your young rider on his or her first bike, make sure you choose a machine that gives them all the advantages. 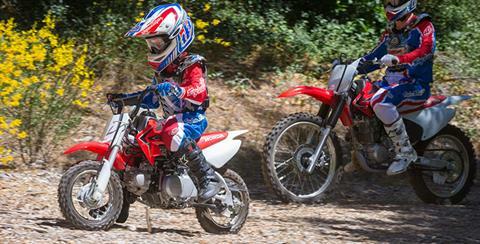 And for hundreds of thousands of riders, the best choice is a Honda CRF50F. 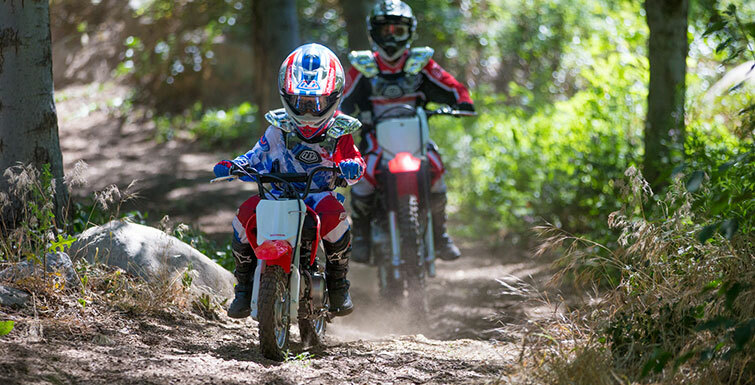 The CRF50F offers up an ideal combination of features: Its tough, reliable four-stroke engine develops smooth, easy-to-use power. Its three-speed transmission uses an automatic clutch, so a rider learns to shift, but never has to worry about stalling. 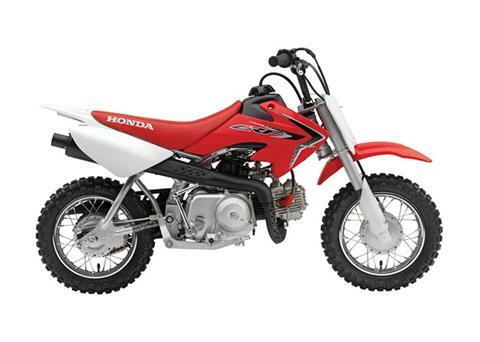 Its tough suspension stands up to youthful enthusiasm. 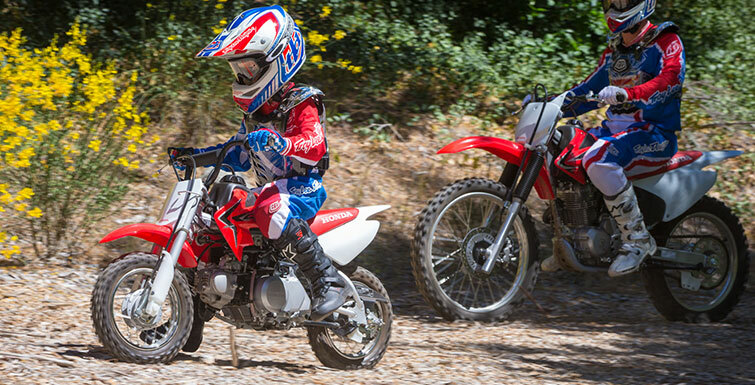 And for adults, the CRF50F makes sense too: an adjustable throttle limiter lets you tailor the power to the appropriate skill level, and the proven reliability means more time riding and less time taken up by maintenance and repairs. Your kids will remember their first motorcycle forever. 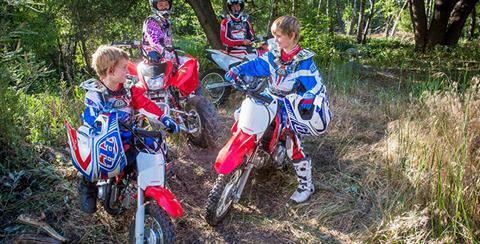 And there’s no better way to make those good memories than by putting them on a Honda CRF50F. 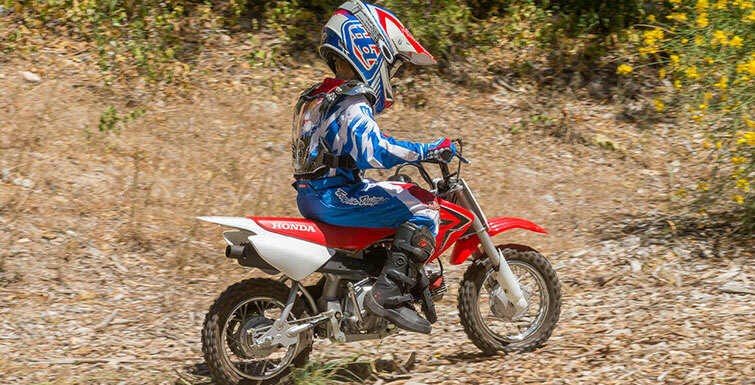 DURABLE, LOW-MAINTENANCE ENGINE: If there’s one thing you can count on with a Honda, it’s the engine. 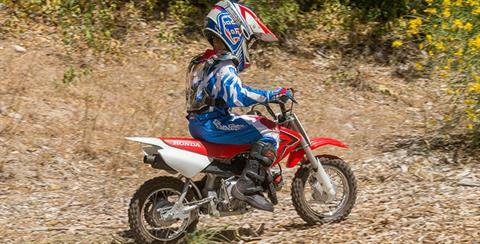 The CRF50F Honda four-stroke engine is famously reliable. That cuts down on frustration and hassles.